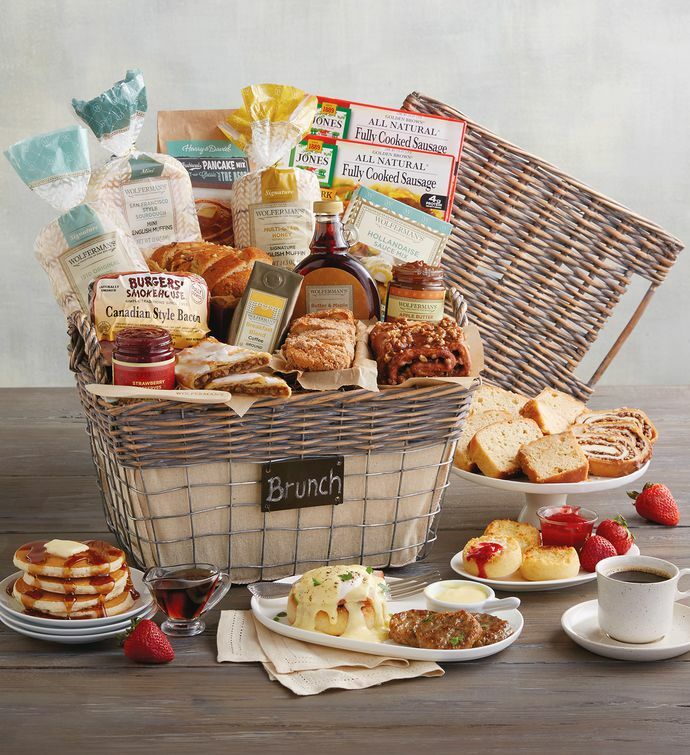 An amazing assembly of our finest bakery goods can be found in our Chalkboard Brunch Basket. 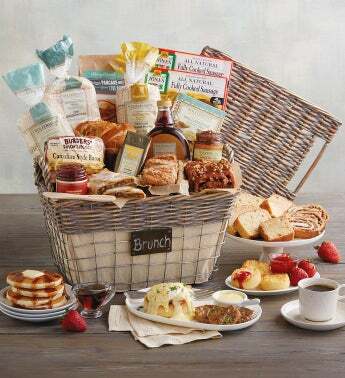 Everything you need to make eggs Benedict, except the eggs, is nestled in this natural willow basket, along with an array of gourmet delights perfect for breakfast or brunch. From pancakes to premium English muffins and a sweet pecan kringle, there are plenty of delectable goodies for everyone to enjoy. A handy chalkboard placard is attached to the basket for your own personal message.